HMD Global, the Finnish startup with the license to sell Nokia-branded mobile devices, will finally announce its Android smartphone lineup in India. After launching the Nokia 3310 last month, the company will announce the Nokia 3, Nokia 5 and Nokia 6 India launch today. The smartphones will be unveiled at an event in New Delhi later this afternoon. HMD Global had officially introduced Nokia-branded smartphones for global markets at MWC in February. The company had confirmed that the smartphones will be available before the end of the second quarter. Nokia’s Android smartphones will become available at a starting price of Rs 9,499. The handsets are expected to become available for pre-orders starting today and ship a week later, starting June 20. In terms of specifications, we are looking at mid-range smartphones here. 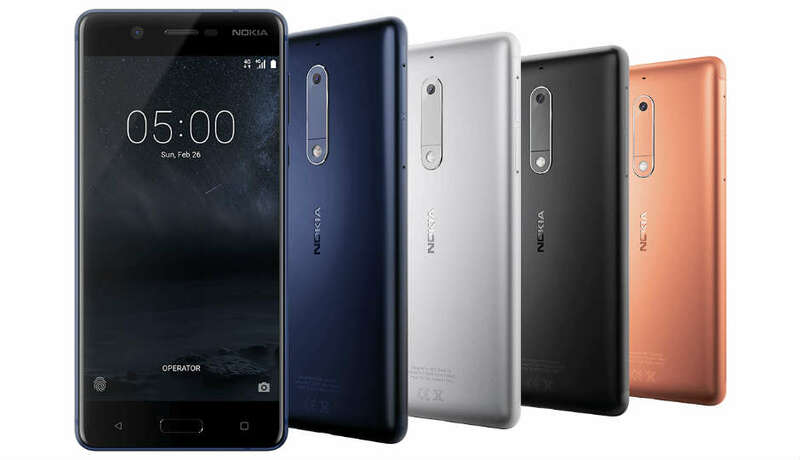 Nokia 6 is the premium of the three devices with a 5.5-inch full HD display featuring Corning Gorilla Glass protection, Qualcomm Snapdragon 430 chipset, 4GB RAM and 64GB storage. The handset is also expected to launch in a 3GB RAM, 32GB storage variant. It sports a 16MP rear camera and an 8MP front camera. The smartphone is backed by a 3000mAh battery and offers connectivity options like Wi-Fi, Bluetooth, GPS, NFC and microUSB port. The smartphone was announced at €229 and is priced at Rs 14, 999 in India. Alongside the Nokia 6, the company is also expected to introduce Nokia 6 Arte Black special edition with a glossy black finish. The Nokia 5 features a 5.2-inch display with HD resolution and Corning Gorilla Glass protection. The handset is powered by the Snapdragon 430 platform coupled with 2GB RAM and 16GB storage. There is also support for expandable storage up to 256GB via a microSD card slot. The smartphone supports a 13MP rear camera and an 8MP front camera. The Nokia 5 is also offers connectivity options like Wi-Fi, Bluetooth, GPS, NFC and microUSB port. The smartphone is also backed by a 3000mAh battery and was announced at a price of €189. It will become available at Rs 12,899 in India. The Nokia 3, on the other hand, sports a 5-inch HD display and is powered by a quad-core MediaTek chipset. The smartphone comes with 2GB RAM and 16GB storage which is expandable storage up to 256GB. The handset features 8MP front and rear cameras and is backed by a 2650mAh battery. The Nokia 3 was announced at €139 and could be launched at 9,499 in India. The Nokia 3, Nokia 5 and Nokia 6 run Android 7.1.1 Nougat and are confirmed to receive Android O updates. HMD Global is betting on the design and software to take on the likes of Xiaomi and Motorola in the budget and mid-range Android smartphone segment.